Walk through the cobbled streets accompanied by a professional guide, discovering the merits of Dubrovnik’s past and present! Enjoy history, legends and amazing local tradition on this day out! A day full of pure natural beauty. Do not miss! An all-inclusive occasion to enjoy simplicity of village life and preserved natural settings! Let the famous local mascote – a donkey guide you through the picturesque little villages rich with cultural and historical heritage and discover the natural beauty of the Dalmatian karst! Walk the narrow lanes through the beautiful old pine forest on the island of Lopud. 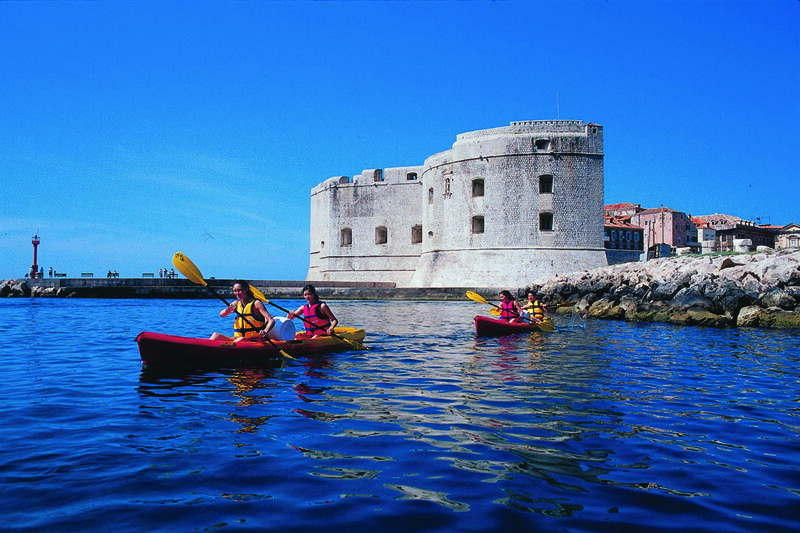 Visit the ruins of the Spanish Fort on Lopud island! Walking along the old Austro-Hungarian trail and a picturesque abandoned railway stripe! Cycling on gravel paths through beautiful pine forest. Discover the hidden shores of the Pelješac peninsula. Ride the unique Dalmatian karst, the habitat of many moufflon and wild boar! Cycling on gravel paths next to the Strinjcera fort and the old abandoned railroad towards Gruž! Experience the unique natural beauty of the region Konavle! Adventures Park is a series of aerial walkways with different challenges designed for all ages and physical fitness levels! Cetina is the most popular Dalmatian rafting river. The rapids are not difficult and the scenery is breathtaking – waterfalls and caves, deep canyon and jungle-like vegetation along the clear and green river! Find more details about excursions and adventures on Gulliver travel web page where you can also use the opportunity to book excursions online.